Two days out from the year-closing Clásico in Madrid, the FC Barcelona first team continued their preparations on the Tito Vilanova pitch at the Ciutat Esportiva Joan Gamper. 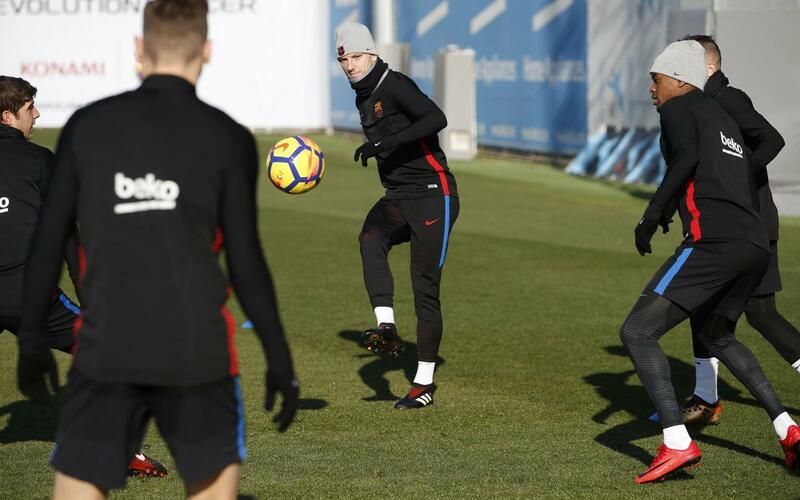 The Thursday session saw Gerard Deulofeu on the pitch, as well as Jordi Alba training with the rest of this teammates after a day of specific work on Wednesday. Joining the first team for the session was Barça B's Carles Aleñá. Ernesto Valverde's men face Real Madrid this Saturday, in what is the first edition of El Clásico in the 2017/18 LaLiga season. Before that, the squad will undertake one final training session on Friday, ahead of their trip to the Spanish capital. Coming into the game, Barça lead the way in the league table with 42 points, whilst Real Madrid are fourth with 31 and a game in hand.